The “Internet of Things” is already a fairly well-known term, but by next year, I expect it will be a phrase used in every household. It refers to the worldwide network of connected devices. The reach of the IoT is massive, which should might have investors asking themselves what are some good Internet of Things stocks to buy? IoT includes the commonly thought of devices like smartphones and televisions, as well as new possibilities such as thermostats, automobiles and even street lights. The growth potential for the IoT space and, by extension, Internet of Things stocks in general, is massive as well. The home market alone is expected to increase from $47 billion in 2015 to $122 billion by 2020. And in the auto world, 250 million vehicles are predicted to be connected to the internet in the next seven years. Just think of the amount of data that will be shared across devices 24/7. The sensors, data storage, memory chips, software and more that will be needed to support this growth to create a huge opportunity for long-term investors. Countless companies and industries will be affected positively by this booming trend, but there are two Internet of Things stocks to buy in particular that stand out as some of the biggest beneficiaries. And they are companies that most investors are overlooking right now. 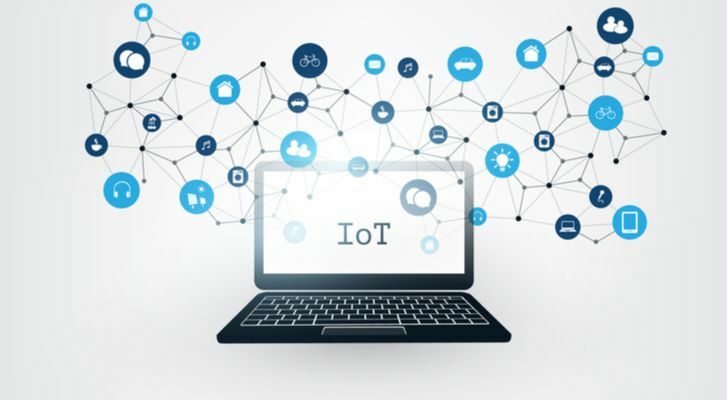 Sensata Technologies (NYSE:ST) is a $7.6 billion company based in the U.K. One of the key components of connecting devices to the IoT is sensors, and Sensata is a major supplier of such sensors to manufacturers around the globe. The company’s products are used in a variety of industries, including transportation. The sensors measure everything from pressure to temperature and speed. ST stock is also attractive fundamentally, with its price-to-earnings-to-growth ratio sitting at 1.08 and its forward price-to-earnings ratio at 11.2. With technology stocks as a whole experiencing a period of weakness, ST is a great buying opportunity at current prices and it’s a standout among other Internet of Things stocks to buy. DexCom (NASDAQ:DXCM) is a $12 billion company based in the United States. DXCM stock is a play on connectivity in the healthcare sector. And although many investors may not immediately recognize its ties to the IoT space (or recgonize why it’s one of the top Internet of Things stocks to buy), its continuous glucose monitoring (CGM) systems take data directly from the body and transmit it to a smartphone app. Not only can the user see this information, it is also sent to the patient’s files for doctors to analyze. DexCom tripled its revenue between 2014 and 2018, and even though the valuation for DXCM stock remains high, it is a true growth story and a unique pick among other Internet of Things stocks. The company has proven itself as a leader in the market over the last few years and there is no indication that the long-term trend is slowing. Article printed from InvestorPlace Media, https://investorplace.com/2018/12/2-internet-of-things-stocks-to-buy-for-the-connected-future/.